Which software is the best free file sharing program ? Please try Folder Transfer, which is file sharing software that can share and transfer your files and folders over Internet (remote networks) or LAN (Local Area Network). You can use this auto file sharing tool to let other get files from your computer any time. Please download Folder Transfer for file sharing between computers. 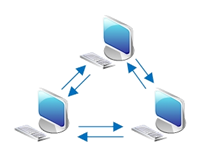 It is not only a file sharing software program, but also a network file transfer application that can help you send files to others. You can use this free file sharing software to share files and folders. 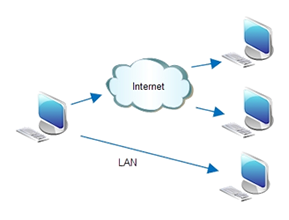 transfer files from one computer to another, or send files to multiple computers no matter they are located in your office LAN , home network or even corporate remote networks. Folder Transfer is the best free software for sharing files and folders across computers over Internet or other network modes.